130 students of the Official Degree in Design participate from March 4th to 7th in the Plug&Play, a hackathon organized by ESDi. 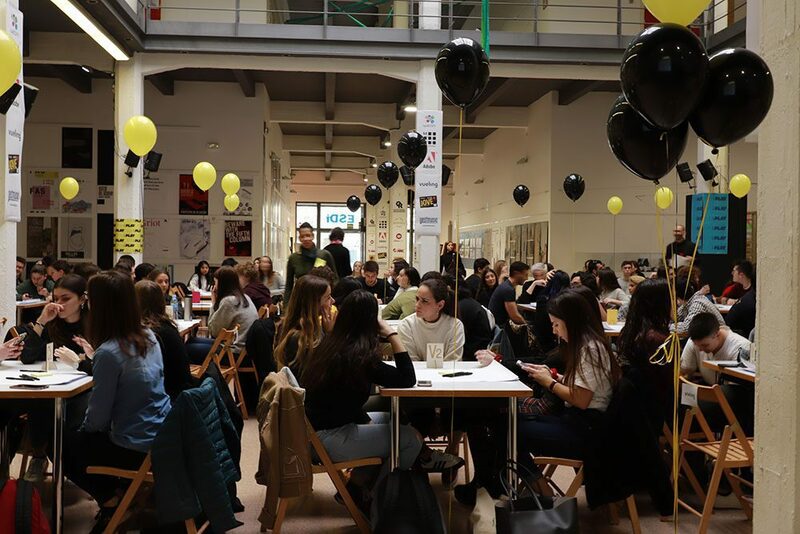 For 4 days, the participants resolved three challenges for three companies: Vueling, Carnet Jove and Gestmusic Endemol. A creative marathon against time formed by multidisciplinary teams of six specialties: Fashion, Graphic, Product, Audiovisual, Interior Design and Design Management. 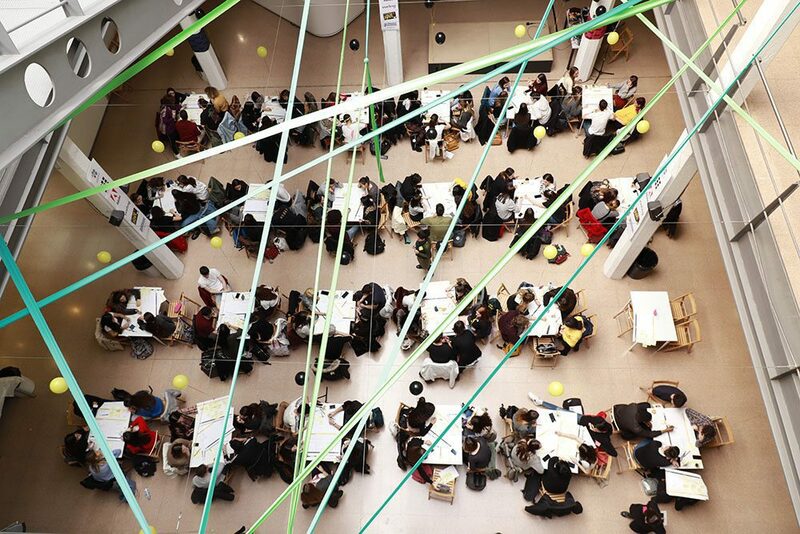 The event was designed to encourage teamwork and live a true design thinking experience. Distributed in teams, the students followed a methodology based on solving small tests towards the development of the proposed challenge. The first day was devoted to the idea, which polished and prototyped on the second day. On the third day they prepared the communication, while on the fourth they recorded a video and presented the solution. Vueling asked how to create experiences with a positive impact on customers in case of delayed or canceled flights. The proposals had to be smart, innovative, honest, respectful, collaborative, affordable and viable. The winning group was V4, formed by Esther Cano, Pol Casbas, Mariona del Pulgar, Marta Silva and Cecília Solé. They developed an app that entertained and gave information to the traveler about the status of the flight and the delay. The challenge by Carnet Jove was to find a way to increase the use of its services and advantages. It should include concepts such as diversity, identity, accessibility, equality, sustainability, solidarity and empowerment. The winning group was C3, formed by Queralt Bataller, Núria Borràs, Marta Lozano, Ivette Sabanés and Ariadna Solà. They proposed JoveGo, an application to participate in daily challenges, contests and weekly draws without having the physical card. In addition, it created community and allowed to share experiences with other users, make recommendations, publicize activities, and earn points. The points could be invested in other offers of the card, such as scholarships. The challenge by Gestmusic Endemol was to raise interest in different generations at the same time in programs such as OT. Students had to keep in mind the concepts of applicability, inclusion, maximum audience, originality and creativity. 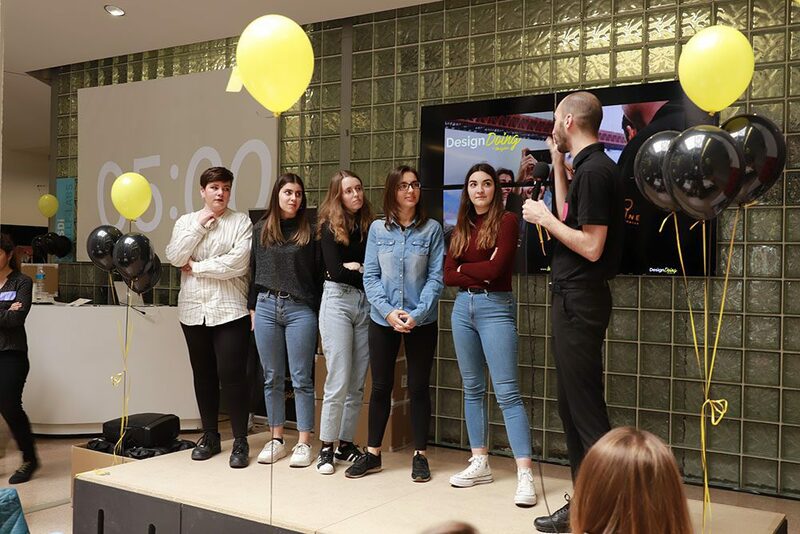 The winning proposal was that of the G4 group, formed by Marc Gómez, Claudia Hintzmann, Christian Lázaro, Natalia Pérez and Vanesa Simon. Together they developed a televised itinerant festival across different cities of Spain, broadcast by different platforms. It consisted of carry out family challenges based on Gestmusic programs and enjoy a family festival with musical performances, food trucks, etc. The jury was composed of ESDi professors and representatives of the three partners. Adrià Navarro, Creative Team Leader at Vueling; Domènec Ballester, Area Director at Carnet Jove; Ángel Custodio Gómez, Head of New Formats and Maria Dalmases, Responsible for Innovation at Gestmusic Endemol. Vueling awarded the winners with two flights per team member to any of its destinations. Carnet Jove offered each member one night for two people in a hostel in Catalonia. And the Gestmusic award was a visit to the backstage during the recording of La Mejor Canción Jamás Cantada. 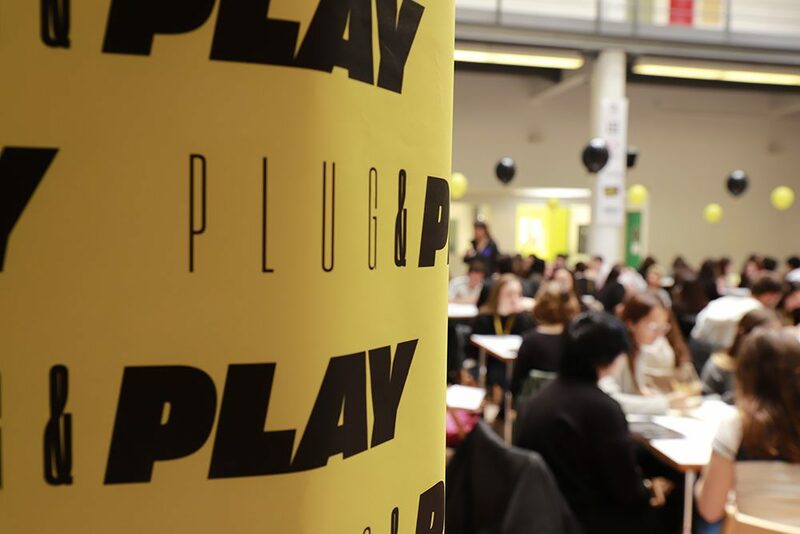 In addition to the partners, Plug&Play had the collaboration of the sponsors Adobe, Wacom and Moleskine, three leading companies in the design world. Adobe gave an annual license to Adobe Creative Cloud, Wacom regaled five graphic tablets, and Moleskine distributed agendas, backpacks and pens. ESDi students who participated in the creative marathon Plug&Play could also enjoy talks and presentations, such as provided by the graphic designer, author and curator Felipe Taborda, considered one of the 100 best designers in the world. As a sponsor of the event, Wacom organized an audiovisual demonstration of innovative products. Ana Mesa, Adobe’s Senior Digital Media Solution Consultant, presented the prototyping tool Adobe XD. The creative marathon Plug&Play emerges as an ESDi’s initiative to enhance the competence development of the students out of the classroom, focusing on teamwork, creativity and entrepreneurship. Another of its objectives is the exchange of knowledge and skills among students of different courses and design specialties. The event has also allowed students to learn new knowledge and make contact with professionals in the design sector. We leave you with the video of the event. We hope you like it!